The skill in providing a rubbish removal West Ham can depend is one that we are proud to say we have got down to a fine art! We know what matters to you, and that’s amazingly reliable service. Nobody wants to hear how the weather or the traffic are to blame for a big pile of rubbish outside their business. That’s no good to anyone, and it certainly won’t attract customers. What you want is just what we want when we hire a contractor: service with a smile. When you put yourself in your customer’s shoes you get to truly understand what you’re doing right, and more importantly where you can improve. It’s this approach that has allowed us to fast become London’s go-to man and truck team. At City Junk & Gardening we care about what we do because we love it, not because we see it as a way to try and make as much money out of hard working men and women like you as possible. 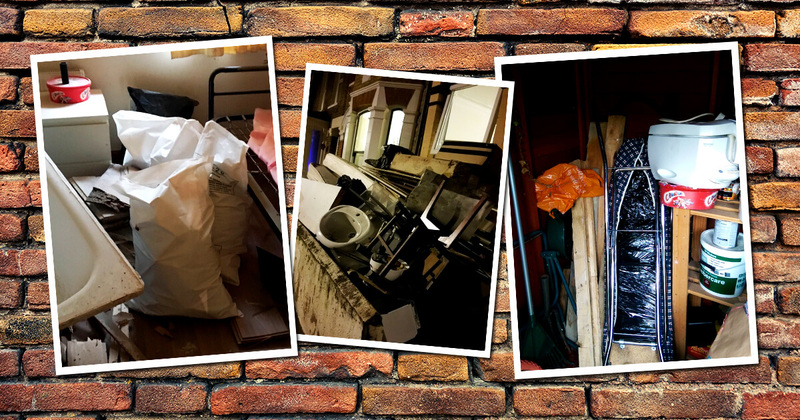 Rubbish removal West Ham is our focus, we know you’ve just googled it and we popped up, that’s how focused we are on catching your eye so that we can show you the future of waste disposal. By going the extra mile and always having the customer at the centre of everything we do, we ensure that we only leave your premises when you’re 100% happy. Ask any City Junk worker and they’ll tell you how common it is for them to be waved off by happy faces in their rear view mirror. That approach is something that we feel we are rightly proud of. It is what sets us apart from the competition. It’s what allows us to stay true to who we are. And most of all it’s what allows us to offer the best value for money you’ll find anywhere in the nation’s capital! We’re proud to put customers first because we understand that without customers we’d be nowhere. They’re our lifeblood and it’s our job to ensure that they are 100% satisfied with everything we do from the moment we take their call, to the moment we drive into the sunset with another mountain of junk under wraps. Need an awkward one-off rubbish collection? West Ham that’s our bread and butter! Want us to advise you on material-specific rubbish disposal? West Ham all you have to do is ask! Get in touch today and experience the best. After you try us the first time you’ll never use the rest!